Howard Elisofon is a nationally renowned litigator with more than 35 years of experience in securities law and enforcement. Howard began his career as trial counsel for the SEC’s Division of Enforcement. He subsequently worked in a variety of senior legal positions at Prudential Securities and First New York Securities, where he obtained his Series 7 and Series 24 licenses, and then in private practice at Greenberg Traurig LLP, where he was a founding member of the firm’s New York office. As co-chair of Herrick’s Securities Litigation and Enforcement practice, Howard focuses on securities and commodities litigation, arbitration, mediation and investigations for broker-dealers, brokerage firms, investment advisers, investment companies, venture capital firms and insurance companies, as well as securities traders and industry executives. He represents clients in a wide variety of complex commercial litigation matters, as well as enforcement proceedings before the SEC, the Offices of the U.S. Attorneys, the New York State Attorney General and New York State District Attorneys, as well as FINRA and various exchanges, and state securities and insurance regulators. A frequent speaker on securities and enforcement related topics, and a sought-after authority on broker-dealer issues, Howard’s commentary is often featured in major media outlets. Howard has defended clients in numerous high-profile government investigations, including the Drexel Burnham/Ivan Boesky insider trading matter, the Prudential Securities limited partnership fraud scandal, the Prudential market timing investigation and the Stanford Ponzi scheme. He was also lead counsel in the historic Molchatsky v. United States of America lawsuit, brought by Madoff investors against the U.S. government and the SEC. 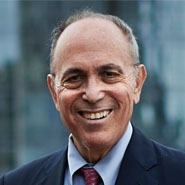 Howard’s work on the case led to significant changes in SEC policies and practices regarding investigations, as well as changes in the tax law to provide greater tax relief to Ponzi scheme victims. Howard frequently counsels clients on sales and trading issues, and on the development of comprehensive compliance programs. He has advised clients on diverse issues including firm and branch office supervisory procedures, clearing issues and practices, communications with the public, conflict of interest reviews, equities and options sales practices, FINRA and state licensing issues, margin rules, suitability and churning, trading practices rules, variable annuity suitability and compliance, private placements, records retention and gifts and gratuities compliance. Howard represents firms and employees in the securities industry in a wide range of employment concerns, including compensation matters, employment and severance agreements, wrongful termination cases, Form U-5 issues, recruitment disputes and discrimination cases.